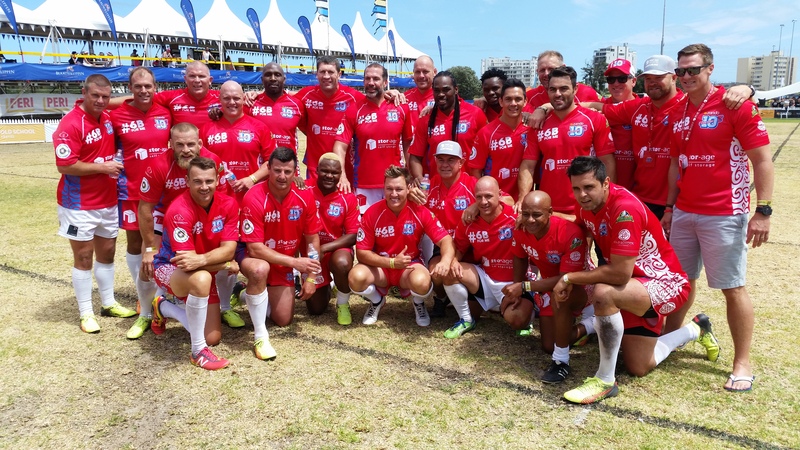 This past weekend, the SA Rugby Legends joined forces with the organisers of the 10th Zando Cape Town 10s to put together a powerhouse team, packed with local and international rugby greats. The Stor-Age VIP Invitational Legends team hosted England rugby legend Chris Sheasby and England Rugby league and UK field athletics champion Abi Ekoku. Former SA MMA champion Garreth “Soldierboy” Mclellan and entertainer Arno Jordaan brought some celebrity mettle, while former Springbok captain Jean de Villiers coached the team to a resounding victory with the help of 1995 World Cup Winner Krynauw Otto and Legends stalwarts Mark Wood, Danie Gerber, and Corné Krige. 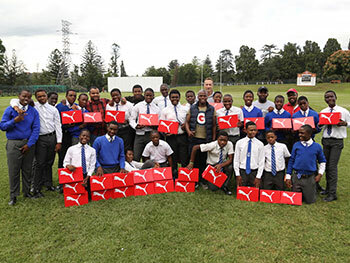 With the support of British Airways, the Legends were able to fly in additional stalwarts to join the team, including Henno Mentz, Mac Masina, Neil Cole, Pieter Dixon, and Marc Watson. The team won all six of the Vets Division games they played, from the pools-stage matches all the way to the final. SARLA CEO, Stefan Terblanche, was ecstatic to have his faith in the team rewarded and commented that, “the spirit of teamwork we’ve built really gave our guys the edge in the tournament, it was a great weekend of rugby where results take a back seat. 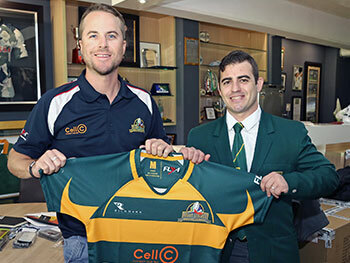 It’s all about having fun and making friends on and off the field, the way rugby should be played”. Day 1 got off to a flying start against Phangela Swat, with our Legends winning 26 -14 after a tight first-half. The second half belonged to the Legends and brought the score from 12-14 to a hard fought victory. The remaining two games were try-fests for the Legends, with a solid 24-7 victory against Accra Rugby Club and the final pool stage game against the Queen’s Barbarians going 36-0 in the Legends favour. 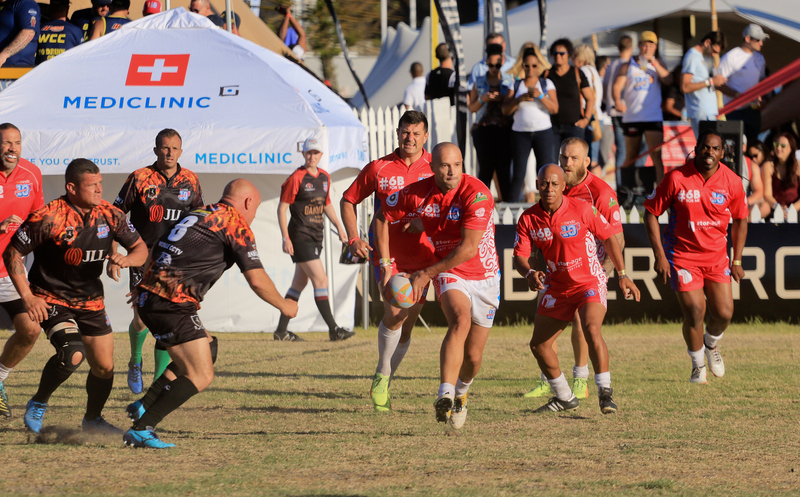 Day 2 brought the knockout stages, with the Stor-Age VIP Invitational Legends team getting off to a cracking start against the PE Harlequins winning 31-0. Jongi Nokwe was the only points scorer in the first half, crossing the chalk and slotting the conversion. In the second half, Henno Mentz added to the tally, taking the score to 14-0. Tries followed from Marc Watson, Marco Wentzel, and Monty Dumond, who converted Wentzel’s try. 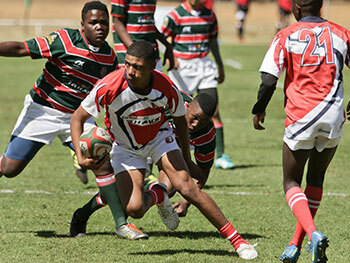 The semi-final saw our boys overcome Phangela Swat 42 – 0. With every try converted, the Legends headed into the second half 21-0. The tries continued, with Marc Watson and Delarey Du Preez crossing the chalk and Conrad Jantjes converting on both occasions. Henno Mentz added another 7, to take the Legends to the finals of the Veteran’s Division. They faced Vulcan Steel NTK in the final, where Monty Dumond and Jongi Nokwe each scored a try and Conrad Jantjes converted both, to take the Stor-Age VIP Invitational Legends side to a thrilling 14 – 7 win.